and longing to work for Him alone you struggled in the wilderness in constant prayer and labor. With penitent heart and great love for Christ you were favored by the Mother of God. 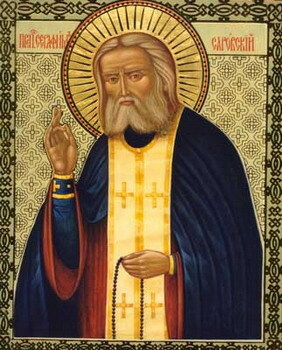 "Save us by your prayers, venerable Seraphim, our father." you settled in the monastery of Sarov, O Saint. becoming for many the way to salvation. enriching you with abundant healing and miracles. 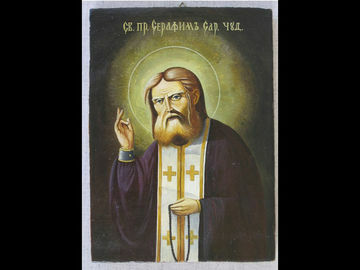 So we cry to you: "Save us by your prayers, venerable Seraphim, our father."